« How do you LaTeX? Just a quick thank you to the crew over at System76 for the flyers and the “Powered by Ubuntu” stickers for the Ubuntu Chicago Gutsy Release Fest and the CoDLUG Install Fest. If you are in the Chicagoland area, please stop on by. 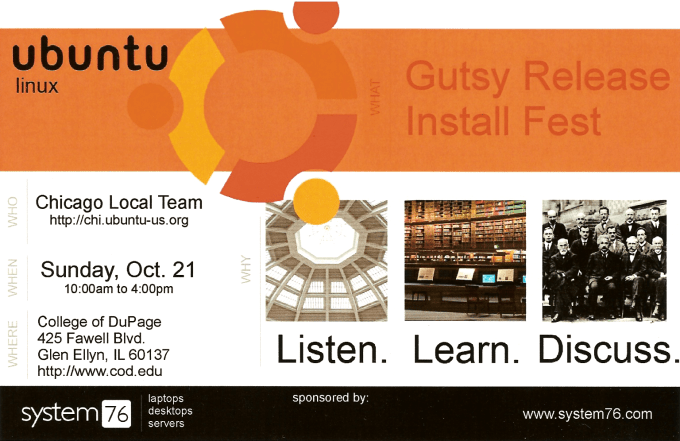 Bring a computer and lets install Gutsy!